Pila is a great destination, if you want to leave all your worries back home and have a relaxing ski holiday. This is one of the rare resorts, where you can reach your hotel not taking off your skies. Travel together with children, you can have big savings. Children under 8 can buy free skipass with their accompanying adults, but other young skiers will 18 years of age can get a skipass with great discounts. Pila is located in northern Italy right above the city of Aosta. The resort was specially built as a ski resort and has all the facilities and services in high lever and perfectly suited for sport and entertainment. All the equipment for skiers are modern and new, easy reachable and usable. There are several pistes, that will satisfy you and give your holiday great added value. We at Alps2Alps aim to offer the best possible deals for transfers to and from Pila. Developing our prices, we look at several factors of our client’s trip, which play important role. This is how we can provide the lowest possible prices, which combined with our high quality services will be great beginning of your ski holiday. All of the mentioned before will result in base rate for your transfer reducing, we never raise our prices for no reason. We offer big discounts for off-peak and off-season. If your are looking for a good deal, travelling in midweek and off-season will result in big savings. For our midweek, which is Monday to Friday, prices we offer big discounts up to 60% of the weekend prices. Price of your transfer will depend also on our availability, vehicle utilisation and transfer schedule, as well as other costs may apply - road tolls and airport parking charges. To discuss any specific requirements or plans to travel as part of a larger group, please get in touch directly so we can discuss your needs. 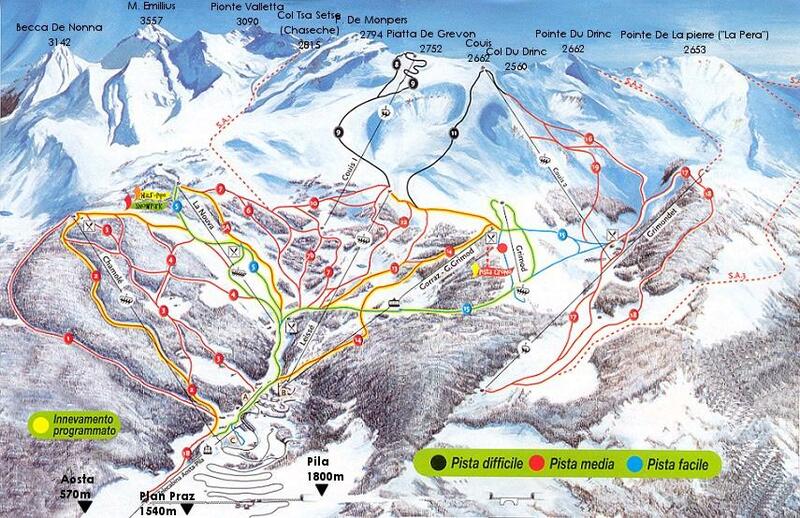 Pila is a perfect destination for all level skiers. Expert skiers will find here challenging pistes for their entertainment. Pila has a great offer for intermediate skiers and beginners. There are 70 km of pistes for all your entertainment and needs. Pila is no less than fantastic as a family ski trip destination, with great ski schools and gentle ski slopes for all ski levels. Resort is full of family friendly facilities and are welcoming skiers and snowboarders of all age. Younger family members can have their time in Funpark and Miniclub, where through activities, creative labs and games they can have their time, while adults are skiing. Given the fast and convenient transport links connecting to Pila and its surroundings, you’ll be in the perfect spot to soak up the very best of this gorgeous ski region. Be sure to read up on what’s on offer, before heading off. We advise booking your transfer as early as possible to get the best deal for Pila transfers. I you can’t find the thing you have been looking for or have any questions, get in touch with Alps2Alps and we will be happy to take care of the rest.